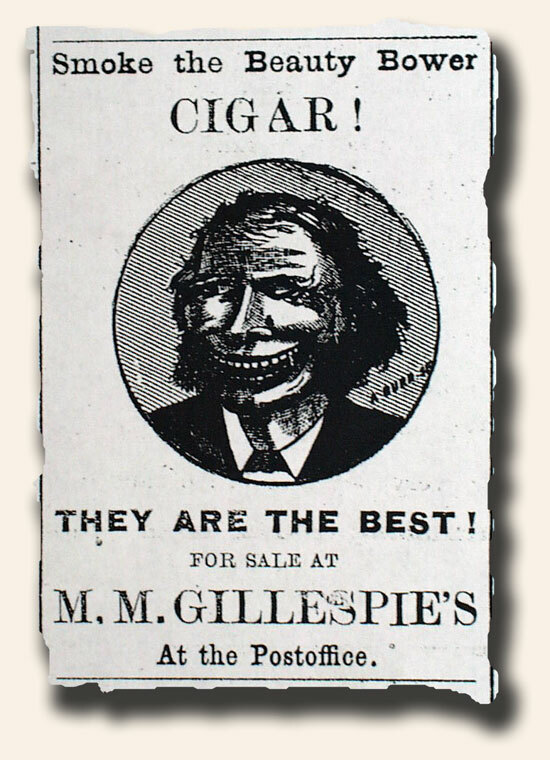 This advertisement for the “Beauty” Bower cigar, found in the Daily Free Press, June 3, 1881, from Bodie, California doesn’t seem to hold true to its name. If this is what the smokers looked like “after”, I’d hate to see the “before”. I wonder if 19th century travelers to the region where confronted with signs stating, “Beware of non-smokers!”.